Tonight, please come to Mori tower on LL floor. Reception desk is open during 18:30 - 19:30 Please show your ticket at the desk. Thank you. 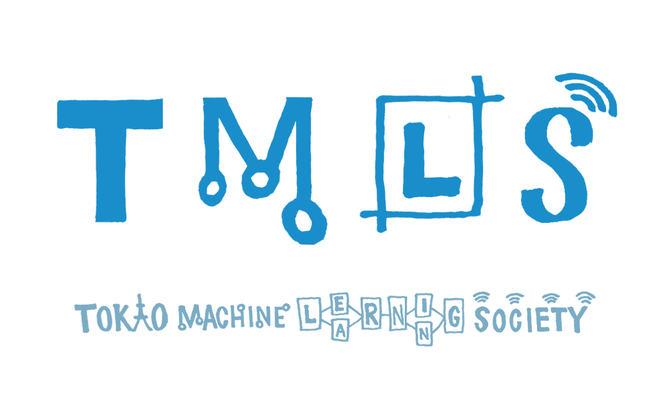 We are very excited to announce our 2016’s second TMLS meetup, coming up on March 25th! We will learn more about deep learning and some of the coolest projects in the industry. Thanks to Google Japan’s cooperation, we will be holding the event at their office in Roppongi Hills. This time we changed the sign-up system. WE NEED YOUR REAL FULL NAME as it appears on your ID to get you into the Mori Tower building (we had some security issues last time). Please go to http://connpass.com, create your account and become a member of TMLS. When you sign-up the event, we ask your name. Everyone of you must input your actual name as an answer to the question. Please bring the ticket issued and show it at the reception desk on the event day. Don't forget your ID too! *Make sure the name you sign up with matches the name on your ID! We will open the sign-ups at connpass's TMLS#2 page (here) tomorrow, March 17th at 12:00pm. Topic: Where does Deep Learning stand in solving business problems? What can we do better? Abstract from Yuki-san : Capitalico is the mobile app which allows you to build your own financial trading algorithms just by tapping several times on the technical chart. In the talk, we would like to share with you the overview of the service as well as the details of its machine learning stack such as the LSTM based sequence scoring, the distributed deep learning execution architecture and more. And finally Reactive Inc.'s, Keisuke + Ray. Keisuke will talk about hyper parameters tuning issues in machine learning, mainly focusing on Bayesian Optimization techniques. Ray will talk about our most-recent-super-exciting project with google! Keywords are: Vision API, TensorFlow, Stochastic Neighbour Embedding. Some drinks and pizza will be served after the talk. Yay! @nethsix It means for example First name_Lat name. What you wrote didn't meet with the criteria. I'm sorry. What does it mean that "WE NEED YOUR REAL FULL NAME as it appears on your ID" I signed up using exactly my ID, and it got cancelled? @Gilles Daquin I'm sorry you had to give up your seat. We really hope you can make it next time! @Baigalaa Thank you very much for signing up. Considering the fact that there are 50ppl in front of you, It might be difficult to attend this event (we are very sorry..). Please try to join TMLS #3 in May! please open it for registration ! Chie Matsunaga published TMLS #2. TMLS #2 has been published!